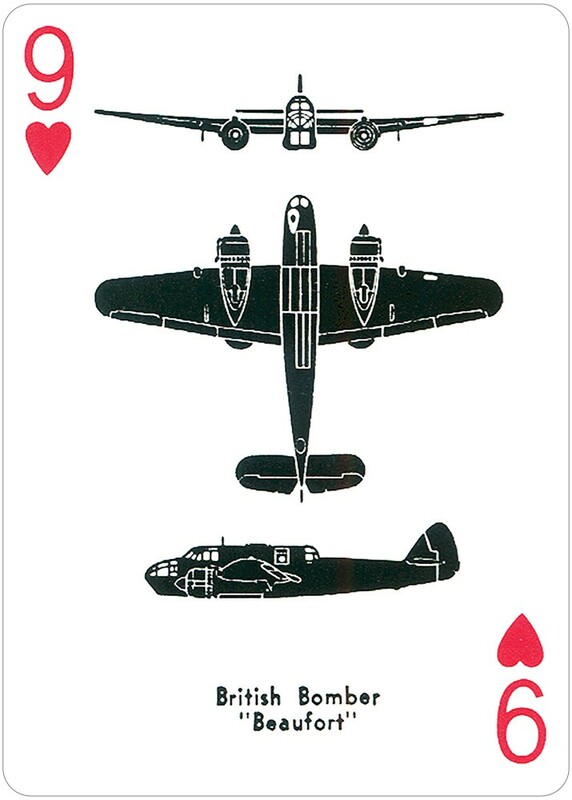 This facsimile Spotter Cards deck identifies 52 different aircraft including Allied bombers and fighters, as well as Axis aircraft from Germany, Japan, and Italy. 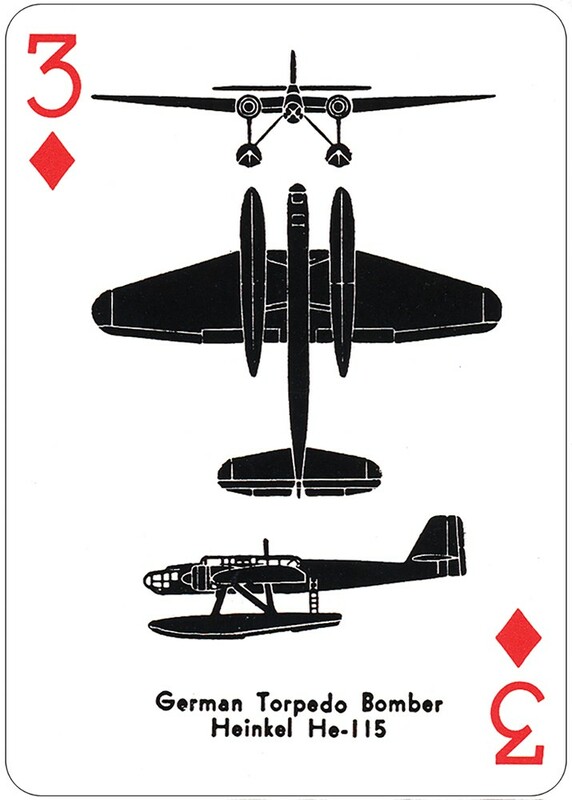 Each card features detailed silhouettes from three different angles: front view, side view, and a view of the bottom of the aircraft, as it would be seen by a ground observer. 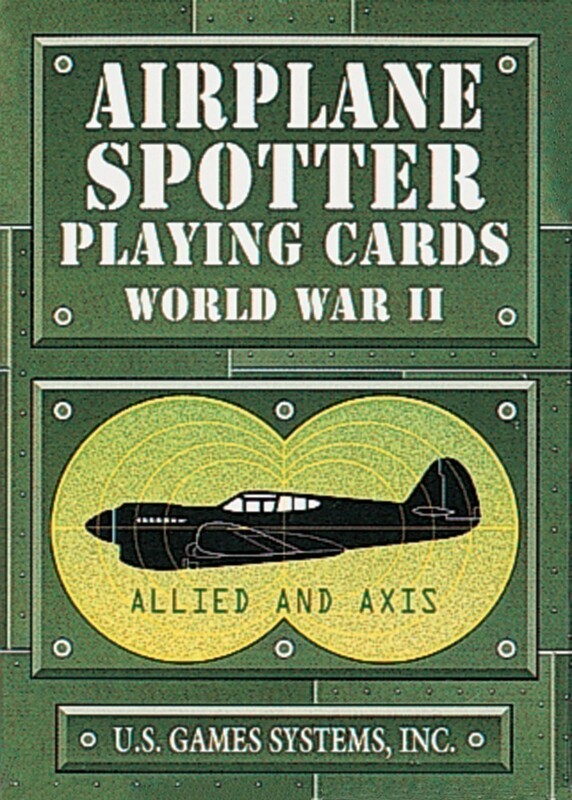 Airplane Spotter Playing Cards now have playing card indices and the deck includes Jokers, so the deck can be used for playing most traditional card games. 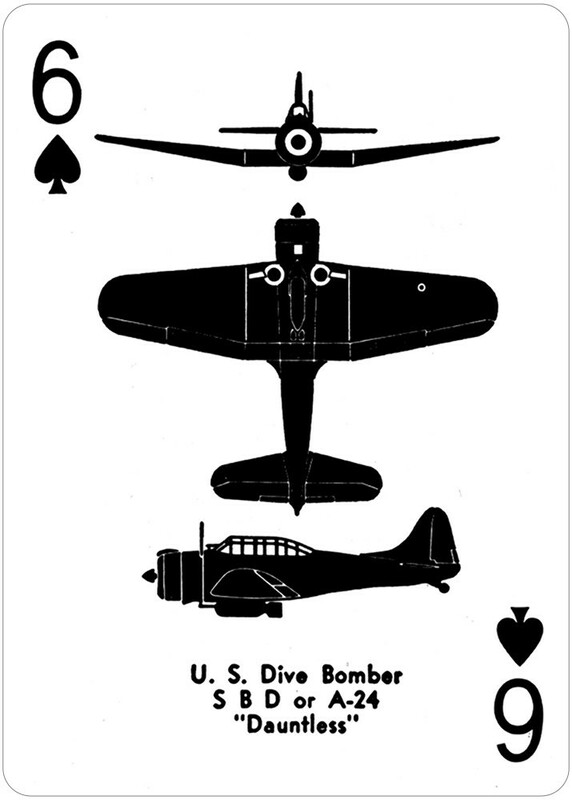 Also available as a double deck set Spotter Playing Cards, with Naval Spotter Playing Cards.